Did you ever think that a day would come when a simple tweet would have the power to generate immense traffic and leads? Well, that day is here, and it will stay this way for many years to come. Twitter has become a well-known social media platform that can quickly help you build an online presence. This platform is currently being used by many top celebs, news sources, leading brands, emerging artists and even B2B marketers. 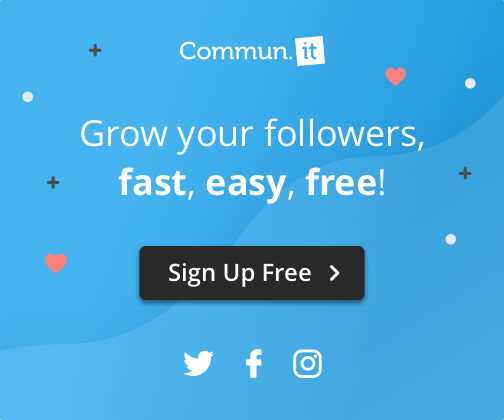 With the ability to allow users to share their experience, views, and ideas this social network has become an excellent tool for B2B digital marketing agencies to engage and connect with their potential audience. In this post, we’ll highlight seven great tips for B2B Twitter marketing to grow your business and generate countless B2B leads. With over 300 million users, there are many influencers that are great for business. There are numerous ways you can use this platform actually to find such influential people. Over the years Twitter has really worked on making their search feature impressive. With it, you can quickly filter out all your targets that you plan on building a relationship with. Other than that, there are also many third-party tools like BuzzStream and FollowerWonk to know who these influencers are. Once you have your list of influencers, follow all their tweets. Engage them by liking, retweeting and commenting on their posts regularly to get noticed. Twitter is an ideal social platform that you can use to boost brand awareness online. This is a crucial strategy especially for those companies that are startups and are trying to make their business a brand. With the help of Twitter, you can easily communicate with your potential prospects. To start off, following a potential client and commenting on their tweets is a great way to get in their books. Other than that, you can also message your target customers directly to interact with them. Also, you can share a pitch on your profile so that all your followers can see it. However, make sure you use the best hashtags to enhance your reach and engagement. Customer service activity is increasing rapidly on Twitter. In addition, businesses are also available to answer such consumers. For example, whenever a specific software or tool starts malfunctioning, you’ll witness many people posting about it in the form of questions. In the B2B environment, you’ll come across many people who merely post questions or request for help in some instances. Since B2B buyers are known to be quite aware then they used to be many years ago, they don’t ignore any platform while researching. To build your social presence on Twitter and improve your profile’s credibility, it’s always a good idea to help them out. Positive reviews are crucial for the success of your B2B Twitter marketing campaign. Twitter eventually is a social media channel that many B2B marketers use to promote their services merely. However, there are two ways to do this. One of the greatest and quickest ways to boost brand awareness begins from the segment who are already, probably, committed to the organization. – Your employees! To start off, request all your employees to follow, retweet and tweet in relation to your business profile to enhance visibility and reach out to a new audience. Other than that, a B2B platform shouldn’t limit their employees to one account. Encourage and request your workers to sign up for a work-based Twitter profile. This ID can be used to share relevant information like a new product launch, or about an award that the company has won. However, make sure that you clear it out with your employees who the real owner of these Twitter profiles is. Content is king, hands down! However, every king requires support actually to be powerful enough to make a difference. Twitter can be used as a support system to leverage your content marketing approach. You can quickly generate traffic on your blogs by sharing every new publication on this platform. With the help of content, your B2B Twitter marketing plan will become more effective than ever. A drawback of Twitter is that you only have 140 characters to deliver your message to your audience. If you use a few hashtags to increase your reach, you’ll eventually be left with fewer characters to share your thought. Tricky, right? Well, a great way to tackle this issue is by using videos and images. Images can be used to showcase your products, office, outlets, customer reviews and even your puppy hugging a toy product of yours. On the other hand, videos can play a vital role in covering sales questions and sharing your company’s culture. Customers will always show more interest in visual tweets. However, make sure you are mostly relevant to maintain a level of professionalism on your profile. Without relevancy, your B2B Twitter marketing campaign will go down the line. B2B Twitter marketing has evolved dramatically over the year. With B2B buyers now showing more interest in conducting proper research before taking their purchase decision, it has become crucial for marketers to catch their attention. Twitter is an excellent platform to boost brand awareness and promote your services. In addition, you can use this platform simply to reflect your expertise in this industry and build a great following to become an influencer yourself someday.